Danusha V. Goska identifies herself as a Polish Catholic writer who wants to dispell negative stereotypes about Poles. FRIDAY IN MY INBOX I FOUND A FORWARDED ARTICLE by a certain Danusha Goska from a site I never look at, the 'progressive' pro-Israel website Front Page Mag. It was titled “Hitler's Religion,” so I began to read it. Long and tedious as it was, I was losing interest until I got near the end to the paragraphs I've reproduced below. Robert Faurisson (right) with unidentified man at the Paris correctional court on Sept. 27, where he was sentenced to 4 months imprisonment (suspended) and a €4,000 fine. IN AN EMAIL FROM DAMIEN VIGUIER, ROBERT FAURISSON'S BARRISTER, to certain interested parties, it was learned that on September 27th, the 17th chamber of the Paris correctional court ruled that Professor Faurisson was guilty of one charge out of the three that were prosecuted against him on June 21. All charges stemmed from the talk Faurisson gave in Tehran in 2006 titled “The Victories of Revisionism” and his published paper of that name. [See also Faurisson's recent follow-up at jan27.org] The lawsuit was brought, as usual, by the Jewish LICRA [International League against Racism and Anti-Semitism], who were granted €3,000 in damages and €2,000 in legal costs. Adding that to the fine of €4,000, the total judgment amounts to €9,000. AS NEW HOLOCAUST MUSEUMS CONTINUE TO BE BUILT, as more schools add compulsory “Holocaust education” to their curriculum, and more governments cave under the pressure to give legal protection to this WWII atrocity propaganda campaign turned official history – it's Thomas Dalton to the rescue again. 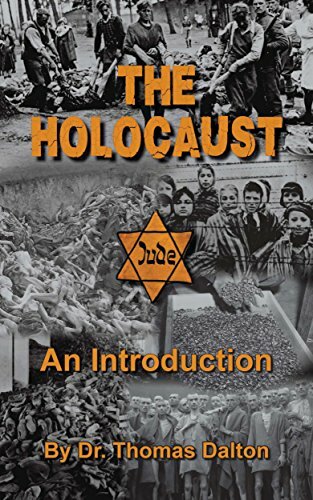 His new book is titled The Holocaust – An Introduction, Exploring the Evidence. It is a basic presentation intended to simplify the questions asked by educated thinking persons, explain why they're asked, and point out the lack of answers from the Holocaust historians. No one can do this better than Thomas Dalton, in my estimation. His previous book on the subject, Debating the Holocaust, did a fantastic and fair job of presenting both sides, and was therefore widely read. Now he has turned again to the effort to make the subject understandable to every reader, and hopefully to get the attention of those who have been led or coerced into believing the case is closed. Deutsche Welle guilty of holocaust revisionism in article about radio operator Helma M.
The entrance to the Auschwitz museum grounds in Oswiecim, Poland as it looks today. ELECTIONS ARE GOING ON EVERYWHERE NOW AND FACT-CHECKING IS A BIG TOPIC for news editors and pundits. So I ask, why is there never any fact-checking for news stories that reference the so-called Holocaust? Case in point: an article posted yesterday at DW.com about German prosecutors “shelving” their case against a 92-year-old woman who served as a radio-operator at the Auschwitz main camp. The article ends with the obligatory mention of “six million,” which itself is a figment of the imagination. During the Holocaust, the Nazis killed more than 6 million people, most of them Jews, in a deliberate plan of extermination that reached a terrible peak between 1941 and 1945. Read more about Deutsche Welle guilty of holocaust revisionism in article about radio operator Helma M.
Actress Rachel Weisz plays Deborah Lipstadt in the upcoming film Denial about David Irving's libel trial against her. THE ULTIMATE PURPOSE OF THE FILM DENIAL, about David Irving's failed libel-suit against Penguin Books and Deborah Lipstadt in 2000, is not to pound David Irving even farther into the dust -- although it may do that -- but to discredit Holocaust Revisionism: hence the film's title is not Irving, but Denial.